As skiers we are obsessed with those tiny little flakes falling from the sky – constantly on the lookout for the next powder dump and eagerly awaiting those cold mornings when you wake up to find a white blanket covering everything and the perfect powder skiing conditions! 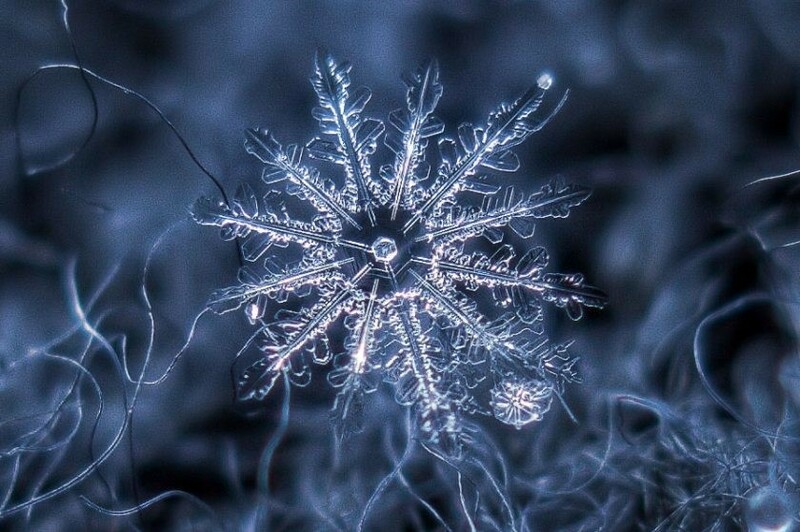 But a question we often ask ourselves is how is snow actually formed, what is the science behind it? Contrary to popular misconception the air temperature doesn’t have to be below freezing (0°C) for it to snow. In fact the heaviest snow fall tends to occur when the temperature of the air is between 0-2°C. If the temperature is above 2°C then the snowflake will begin to melt and fall as sleet instead – warmer still, and the precipitation turns into rain. Snow is formed when the temperature in the atmosphere is cold enough to allow tiny ice crystals to form around bits of dirt that have been transported to the atmosphere by the wind. These tiny moisture particles then stick together when they collide, constantly increasing in size as well as mass. When they become heavy enough, they fall to the ground as snowflakes. 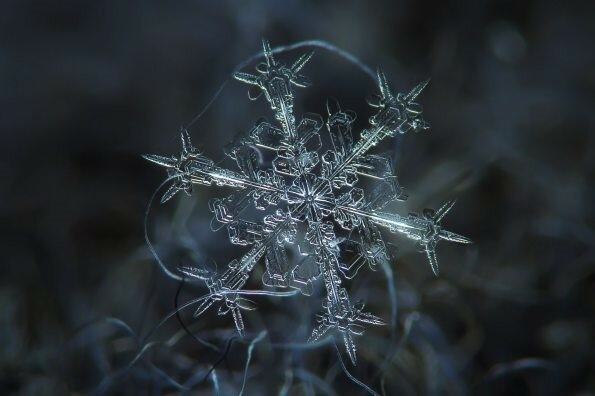 Snowflakes are all random shapes and sizes as they are made up of crystals with various configurations. 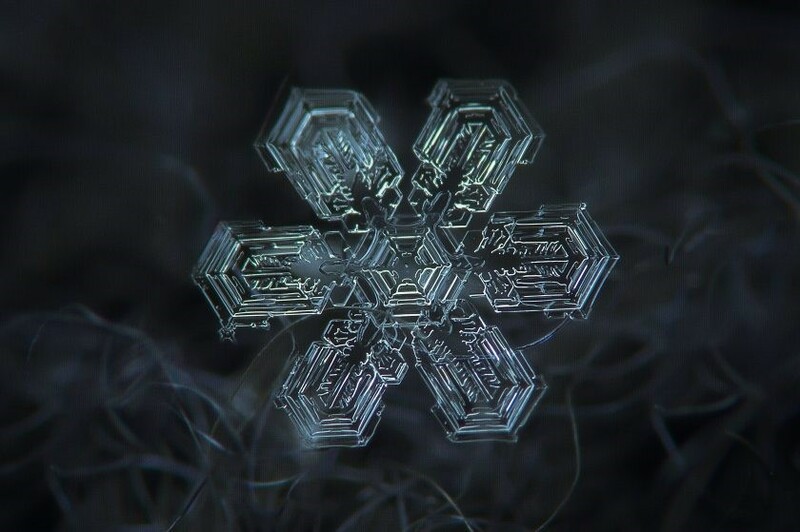 Each snowflake forms in a hexagonal shape due to their structures being constructed mainly of stars, prisms and hexagonal plates however each one is completely unique, much like the human finger print. 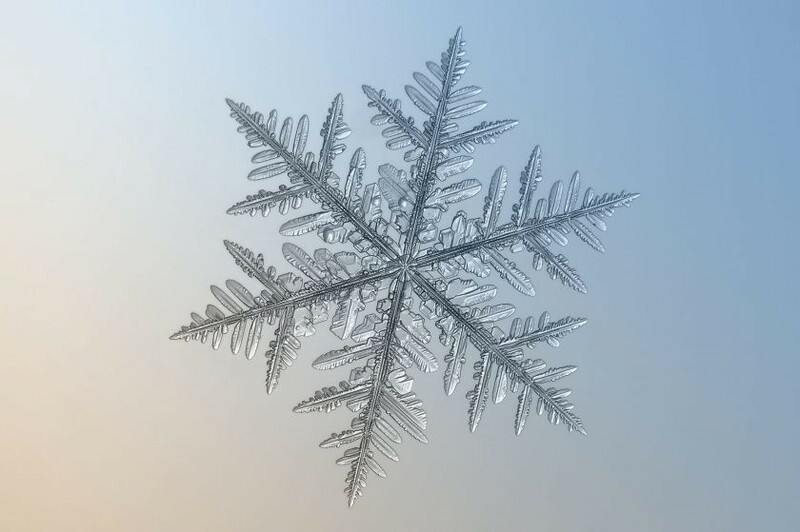 The size of the snowflake depends on how many ice crystals have collided and become stuck together; this is determined by the temperature. If the temperature is slightly warmer than 0°C then the snowflake will begin to melt around the edges and stick together a little more. This obviously means that the snowflakes become bigger and heavier. This snow is stickier and is perfect conditions for making snowmen. If the air is dry and cool then the powdery flakes have simpler structures that won’t stick together very well. This is hopeless for making a snowball but perfect for skiing because you get light, dry powder. The drier and cooler the air is, the better it is. British Columbia is an area which is famous for its incredibly light and dry snow which is known as ‘champagne powder’. In our book skiing this type of powder is the ultimate experience where you get the gravity defying sensation of effortlessly float down the mountain. Magic. If you’re interested in a winter holiday then do check out our website and you’d like to know more about our powder skiing adventures or heli skiing, or call us in the office on +44 (0) 20 7736 8191.